Welcome to Folding Bike Week 2014! When you're not looking at seals being turned into cold appetizers in front of cameras on the Discovery Channel - come straight to DIYBIKING.COM for all of your folding bike needs! Yes, Folding Bike Week is always on during Shark Week. You may ask what folding bikes have to do with sharks, but get past the issue: Volkswagen has just about nothing to do with sharks but it doesn't stop them from sponsoring Shark Week, does it? This week exists because folding bikes deserve a special place - both in our hearts and on our calendars. They're our answer to tiny apartments. Our solution to high-priced car racks. And, perhaps most importantly, folding bikes are our glorious loophole of unfair travel rules on Metro North and other commuter trains. 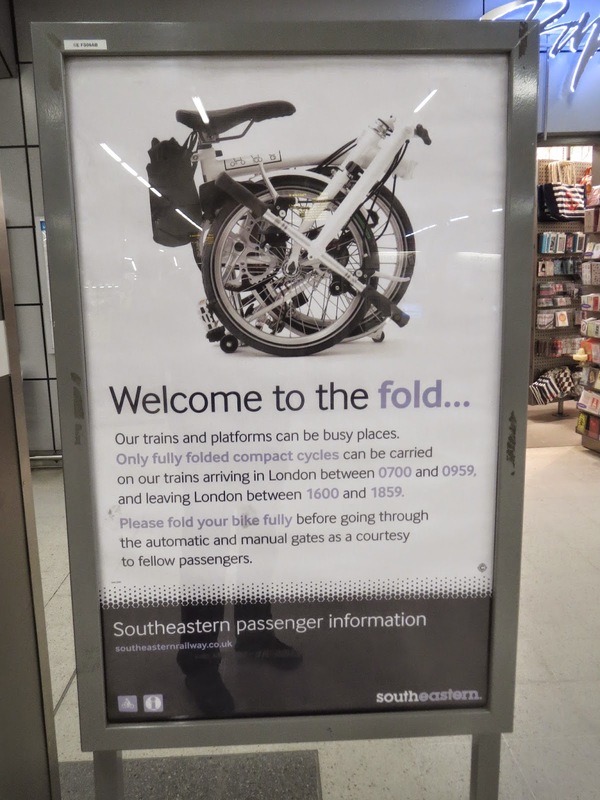 Yeah, that's London - which has long ago decided to encourage (or, at least, remind) commuters to take folding bikes on the train. This Folding Bike Week you are once again encouraged to post photos or any kind of folding bike lore on Instagram or on Twitter using the hashtag #foldingbikeweek (you can also follow me on Twitter @michaelknorris or Instagram at @michael_kenneth_norris). This week I've got a couple of new and different bikes to talk about thanks to a strategic alliance with NYCeWheels, which is an outstanding shop at 1603 York Avenue (between 84th and 85th) that specializes in electric scooters, electric bike conversion kits, and, of course, folding bikes. I'm also going try to learn some of the history of our fine small-wheeled friends, see if I can determine the origin story of The Mystery of South Norwalk and see what's new with MicroBike. My editorial calendar is very loose this week, so hit me up if you have special folding bike news, have any folding bike events going on or, if you're a bike shop, you have a sale on folding bikes falling on Folding Bike Week. And if you own a folding bike, undo the hinges, raise your seat, and ride with pride. If you don't own a folding bike, be inspired and walk to NYCeWheels or another local bike shop and ride out in style. 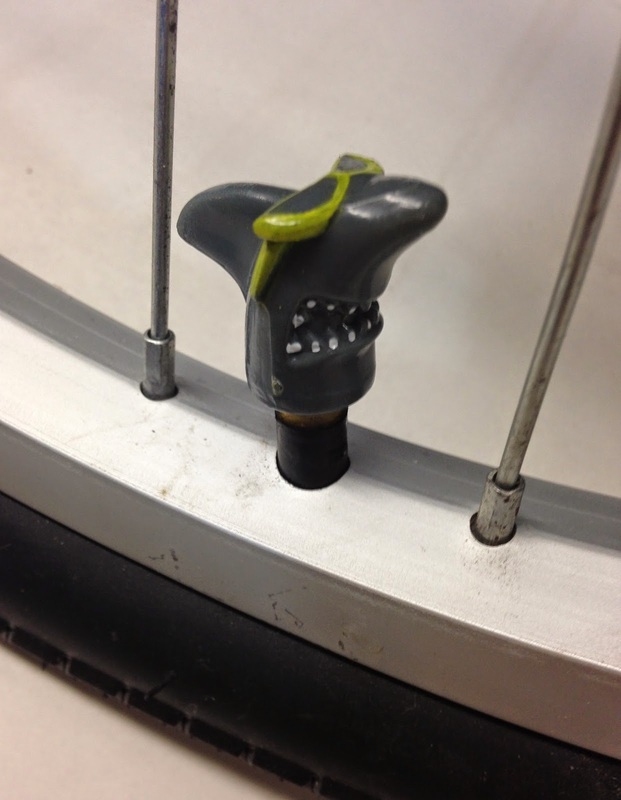 Choose to be touched by Folding Bike Week.